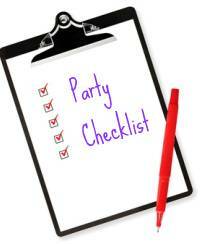 So you want to plan the perfect party? At the very beginning it is important to get one thing straight. Children's parties do not have to be perfect in order to be wonderful, memorable and really great fun. The main thing to remember is that everyone is there to dress up, have fun, play some (often silly) games, eat more crisps than grapes and raw carrots, sing Happy Birthday and go home again. Getting a bit over-excited and racing around are inevitably a part and parcel of the fun. A bit of planning and preparation can mean however that you can channel the fun and excitement and make sure everyone has a really good time. Children's parties do not have to be expensive. Anyone can buy lots of fancy bits and pieces and decorations from party stores but its just as much fun to make your own. In fact, if you get going in plenty of time, making invitations, decorations and fancy dress with your children can be an important part of the process and are a great way to spend some quality time with your youngsters. Which type of Mum or Dad do you want to be? Do not think that one kid's party is pretty much like another. Try not to mix ages if you can help it. Older children will be bored at a babyish party and younger kids will be a bit intimidated. Remember an eight year old looks enormous and very grown up to a five year old. Children's party games too are much better if tailored to a certain age. Its always difficult however with family members etc and sometimes you have no option. This is where you invent the position of special party helper to keep the older cousin occupied. At 2 or 3 a party is just as much for the parents benefit. A way of getting together with friends, family and other parents. Games and activities do not have to be very sophisticated. At 4 or 5 most children will have a wider circle of friends from play groups and kids activity clubs. They will probably have been to a few parties and know what to expect. 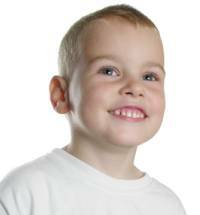 From 6 to 8 your child will want to be very involved in planning (and running) their party. They can also be surprisingly imaginative and have a clear idea of the party themes they would like. From about 8 or 9 children will very much know their likes and dislikes and have particular friends. At this age smaller groups doing particular activities takes over. Be it sports, swimming, bowling etc or perhaps make-over parties or sleep-overs. Many parents get numbers wrong and have far too many children. There really isn't any need to invite the entire class. If they all come and you add in some friends from outside school and a few cousins before you know it you are in charge of 30 over excited kids! 12 to 20 is ideal but you will need other adult helpers around to marshall and help out. 2 hours is perfect. (1.5 hours for toddlers) Any longer and you will start to run into problems. Time of day - Traditionally kids parties were afternoon affairs. But do consider holding your party in the morning - 11am till 1pm. The advantages are that your birthday boy or girl have not spent all day getting het up waiting and you will find all the other kids a lot calmer too. Parents like it better too as it means it does not compromise their weekend so much. Allow 10 minutes or so at the start for guests to arrive. Having a few simple games on the go that children can join in easily if they arrive late is a good plan. Another good idea, depending on the theme of your party is to start with a simple craft activity or even simple colouring. Next 30 minutes - Birthday tea or lunch including birthday cake and singing happy birthday. Final 30 minutes - A couple more games. It is nice to finish in a circle with something like the Hokey Cokey. The important thing with kids parties is to have a reasonably clear idea what is going to happen. There is nothing worse than a party where someone just hires in a bouncy castle and then expects the kids to just get on with it. They will bounce for a while but then be bored. Children like to have an adult do things with them.